Thank you to the Holy Name Society for putting together our wonderful Pancake Breakfast! Delicious food, great friendship and all you can eat pancakes-a great time was had by all! Thank you to all the Veterans who have served our country, especially those who are in our own parish family! 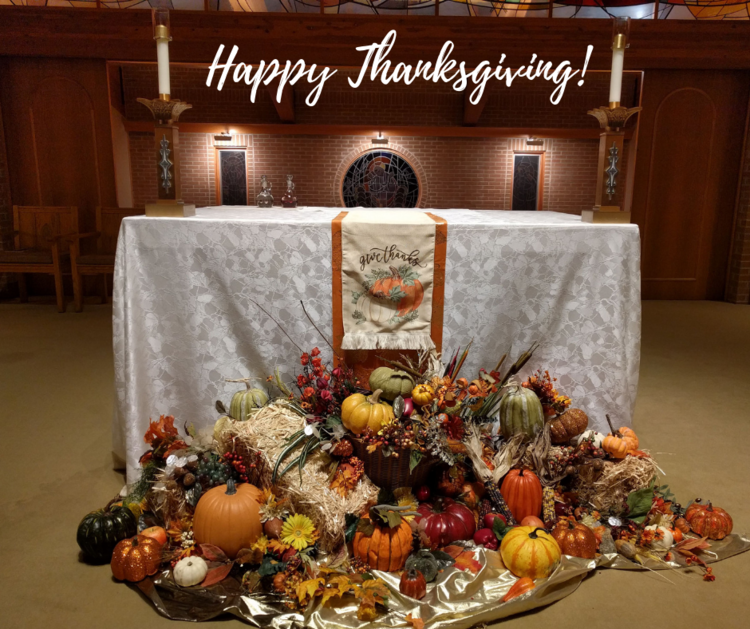 From the entire Parish Staff we wish you a beautiful, warm, and wonderful Thanksgiving! There is always so much to be grateful for. This Parish knows so many blessings and YOU are among those blessings which we value and are always grateful for! As we enter into this Season of Thanksgiving and Christmas Joy may the Lord continue to bless you in every good way and may you know His Love, His Peace, His Presence in ways that are more than remarkable! Thank you for all that you do and for your witness of Faith! Thank you for your kindness, your friendship, and your prayers! A very Happy and Fulfilling Thanksgiving to all! Thank you to Steve Sykora and the Holy Name Society for putting together a wonderful Thanksgiving meal for our parishioners.